Patrice Tartt is a hybrid of resiliency and passion topped off with cherry-on-top ambition. As a graduate of both Fisk University (B.A. in Psychology) and Trevecca Nazarene University (M.S. in Management), Patrice has always been motivated to reach higher levels while simultaneously motivating others to do the same. After dealing with the unexpected death of her father in 2011, Patrice was led to seek therapy through writing. Unknowingly, Patrice’s therapeutic writing sessions led to the completion of her debut novel Wounds of Deception, which allowed her to tell a tangled story of hurt, anger and confusion while also healing. The Milwaukee, Wisconsin native, who is also an avid blogger and traveler, has a desire to educate and entertain through her writing- discussing seldom talked about topics like family betrayal, health issues, and the aftermath of pain- with a creative twist. Prior to becoming a published author and contributing writer for the wellness section and digital magazine for Everything Girls Love, Patrice worked as an IT analyst and consultant. Patrice is an active member of Alpha Kappa Alpha Sorority, Incorporated and supporter of the Amyloidosis Foundation in which she advocates and raises awareness for this rare disease mentioned in her novel. Patrice currently resides in the Washington, D.C. metro area with her young son. 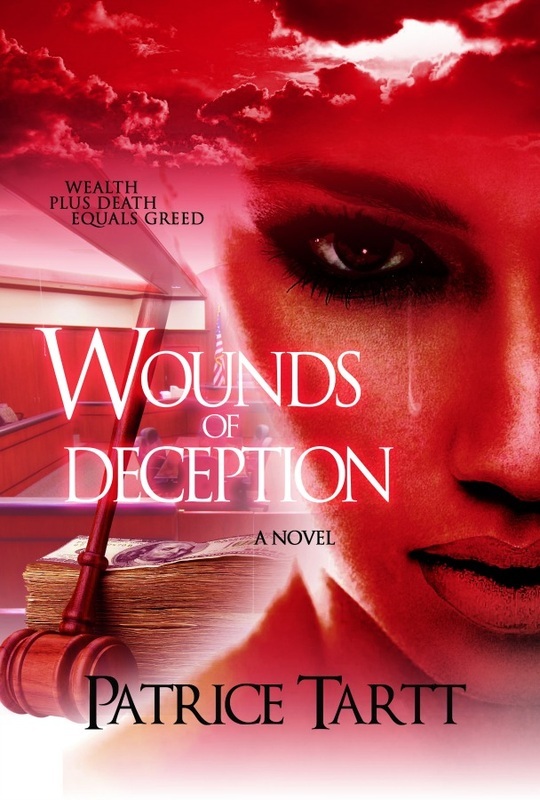 Her debut novel, Wounds of Deception, will be published in September 2013 under her publishing company, Patrice Tartt Publishing. THE RELEASE DATE IS SEPTEMBER 2013.